Big Bikes at B A J A R A L L Y! Coming Oct 10, 2016. The BAJA RALLY™! I think we got four guys so far on big bikes entered and a special secret guest rider yet to be named. I will be down there covering each stage live and will try and post up photos and stories from each bivouac. I will post a tracking link shortly. Give a Breauxhug to Breuxman for me. I will be down there supporting a friend who is riding in the rally! 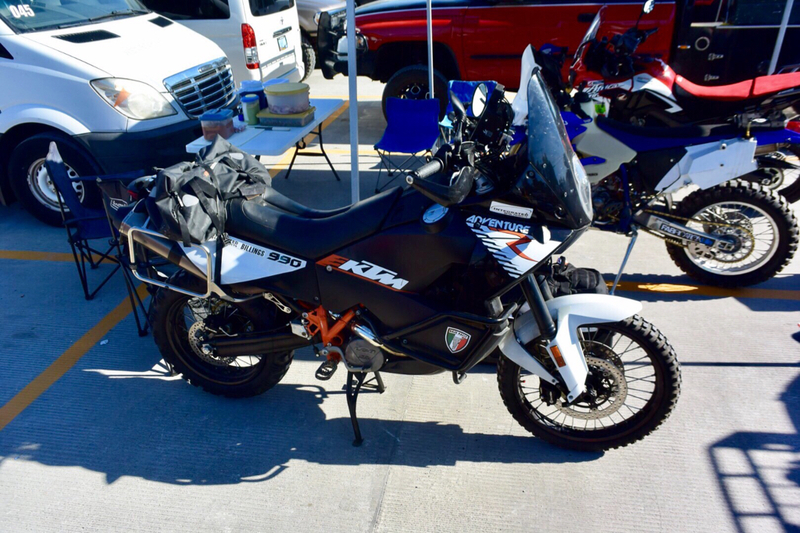 Going to be fun riding down the coast to the Baja from Vancouver Island! FYI, there will be live tracking beginning Tuesday morning, Oct 9th at 9:00 am! 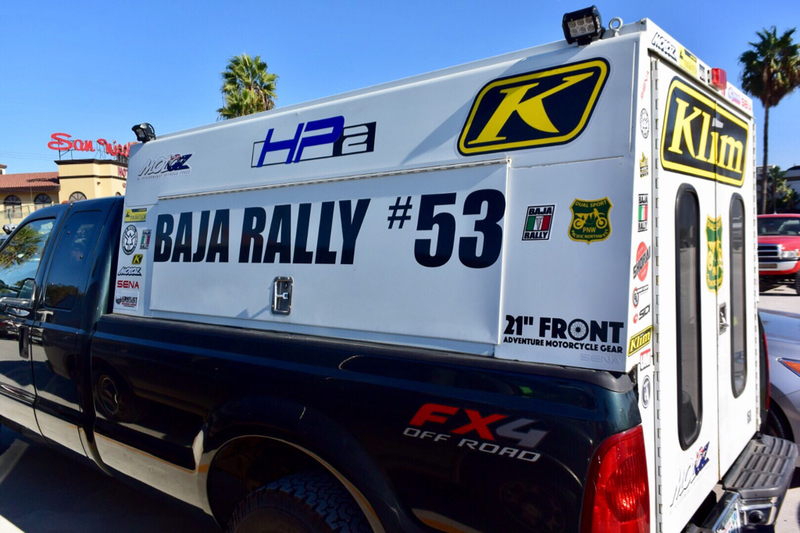 4th Annual BAJA RALLY - The fastest growing motorsports event in North America spans the entire week of October 9th to 15th with Live Streaming Video, Live Tracking and daily highlight videos. Engines will roar as the sun breaks the darkness in the horizon, and the 80 competitors from 13 countries will take their first green flags Tuesday October 11 from “Restaurante Acambaro” at 9:00AM PDT. Don’t miss any of the blood, sweat and tears spilled onto the 1,500-mile racecourse this year! 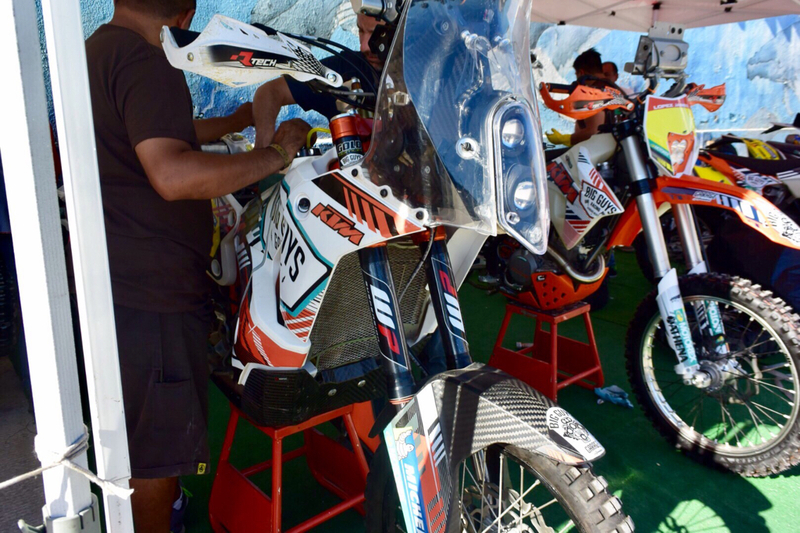 Watch the riders blaze down the Baja Peninsula from our Live Streaming and Tracking Pages then check out our Instagram and Facebook pages regularly for photo, news and video updates! This thing's about to go off! I head down there tomorrow (Sunday) morning and will be giving updates. I'll live-stream the start on Tuesday morning visible on our FB page. I'm excited for this! Can't wait to see how Casey and Brian do! Arrived in Ensenada Saturday and doing last minute stuff. 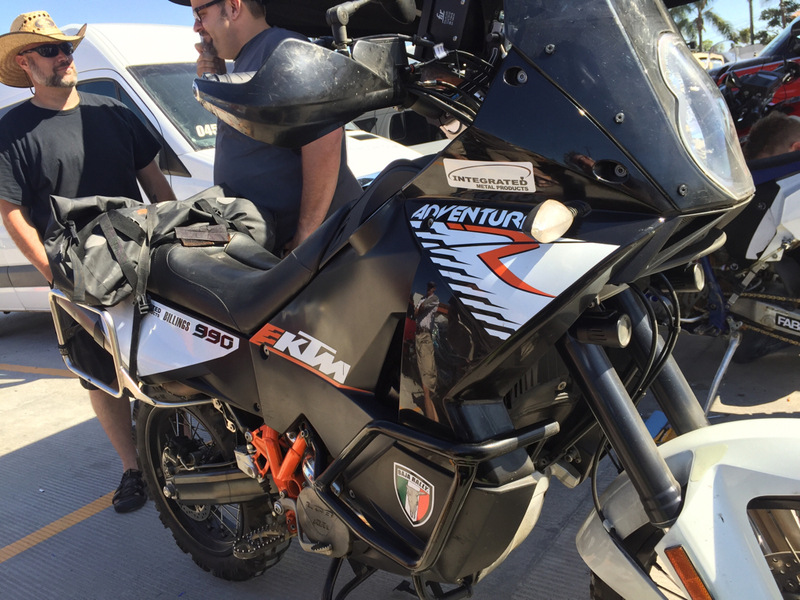 Already have the bike over at San Nicolas. Looking forward to seeing everyone and crushing it on the mighty 9fiddy! 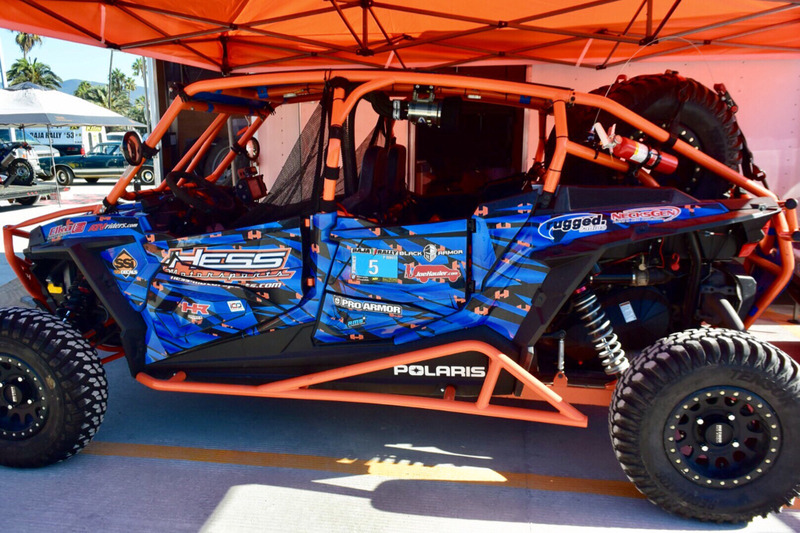 Time to scare the 450's out of your way! Safety (and common sense) third! At the hotel now. 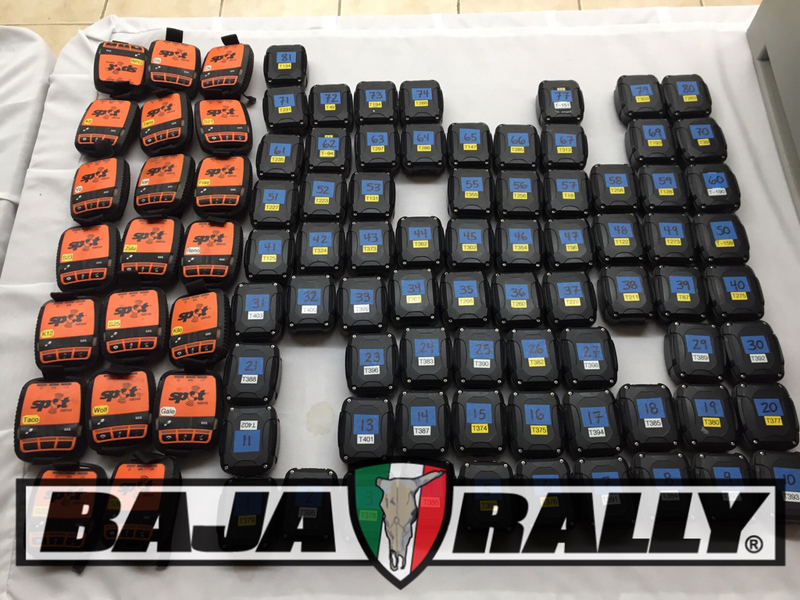 Check out all these Spot Gen3's and Traces! 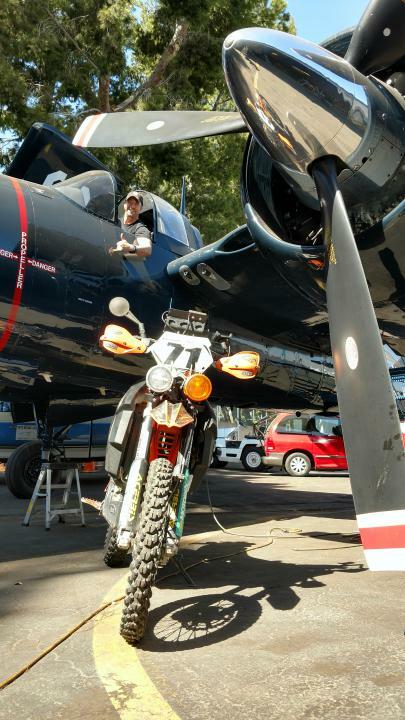 Just had a great interview with Lawrence Hacking who is riding his Africa Twin. Tires not changed yet but we still have time. 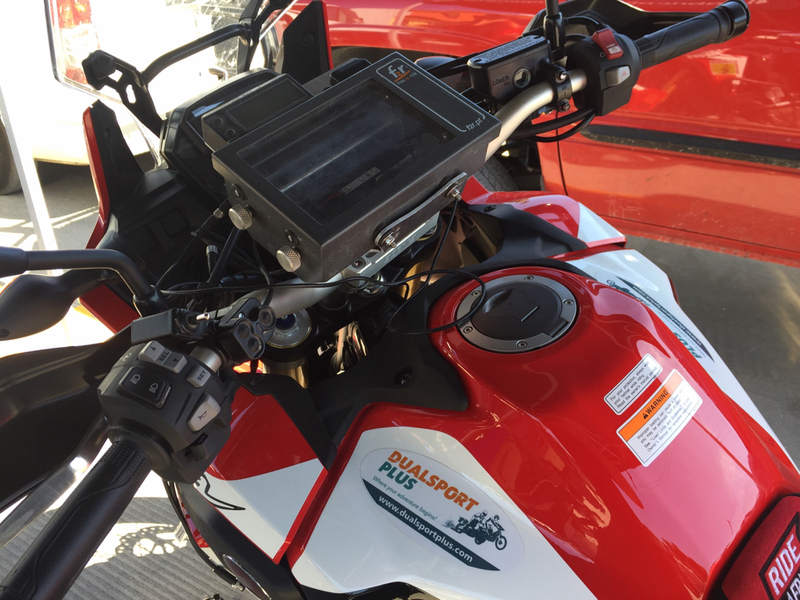 The big bikes will most likely have an abbreviated course given the level of energy required to muscle them along vs the smaller bikes. 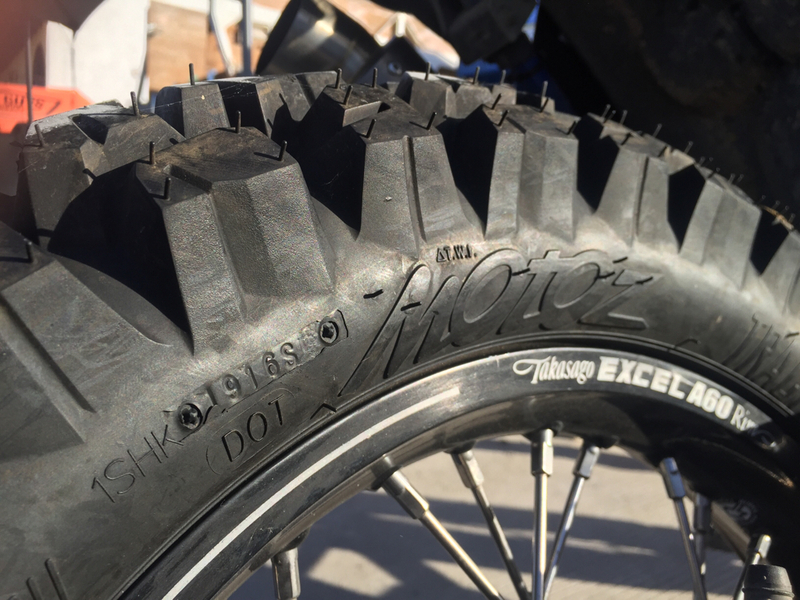 And then here's Keith Billings' 990R. He and Lawrence may ride together as much as possible. Got an interview with Casey Hilliard and Brian Englund. Hope to get that posted soon. 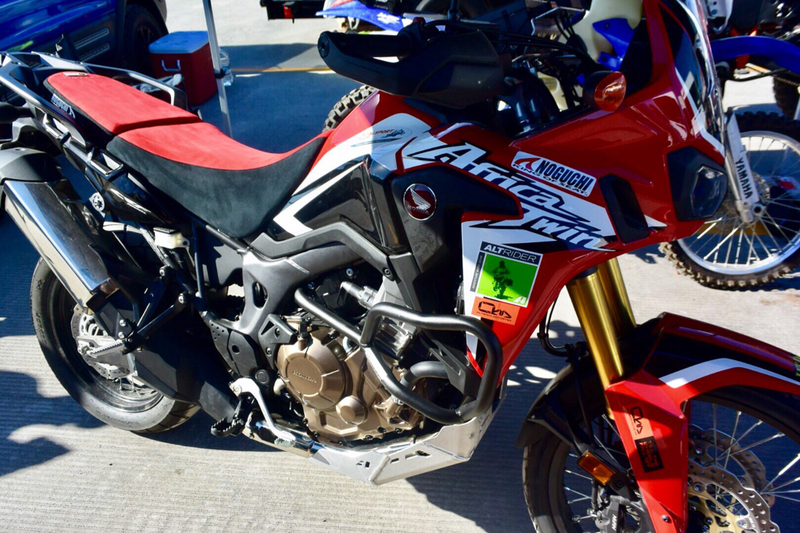 We talked about the abbreviated course for the big bikes, their strategy as well as this being a huge opportunity for the future of big bike rally raid racing. They really sense that they are the pioneers here and feel the responsibility resting on their shoulders to put in a good showing. 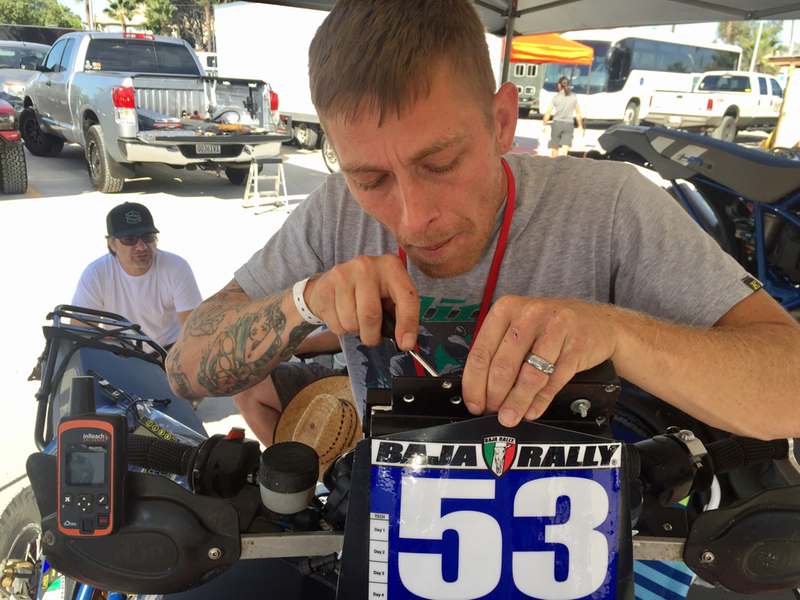 Then we helped Lawrence Hacking set the bead on his rear tire. The shipping containers just arrived from port. Better late than. Ever but it will be a late night with scrutinizing. No, that must be your senior editor who is drunk. Today's stage is a prologue that won't count for time, just tomorrow's starting order. I'm going to try to get some good photos and video but bandwidth will be an issue. I will try to livestream the start this morning depending on wi-fi. 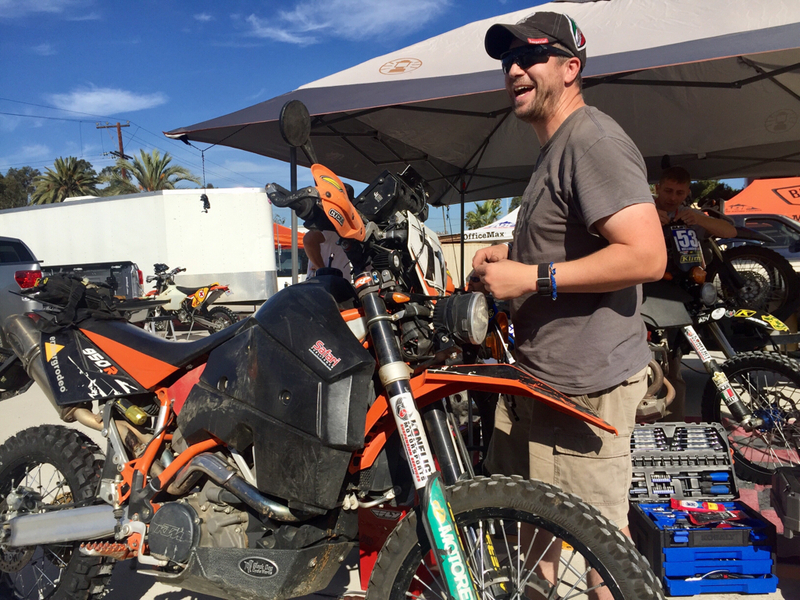 There is a video dropping later this morning from the Baja Rally Facebook page that is kind of a daily summary for yesterday. I'd probably say Casey, Lawrence, Brian, Keith but we shall see!